There’s a famous quote that a neat and tidy house is a sign of a wasted life. While I guess it may not be exactly true, it’s certainly true that there are more precious and fun-filled things to do rather than worry about keeping your home tidy and clean! having all your other responsibilities and commitments, you should be able to enjoy your leisure time as you want. residential cleaning services are available and designed in a certain manner to give you the long lost peace of mind and relaxation you deserve and always wanted the time you need to enjoy the feast of your life and loved ones. Don’t you wish that you should have more leisure time there are residential cleaning services that can help you out in this sort of situation Menage Total have the perfect solution for you in this regard? Menage total has experts able to provide detailed residential cleaning services for their clients and valued customers, their residential cleaning service designed in such manner that your valuable and property will come to it’s the best glance and look best all year around. 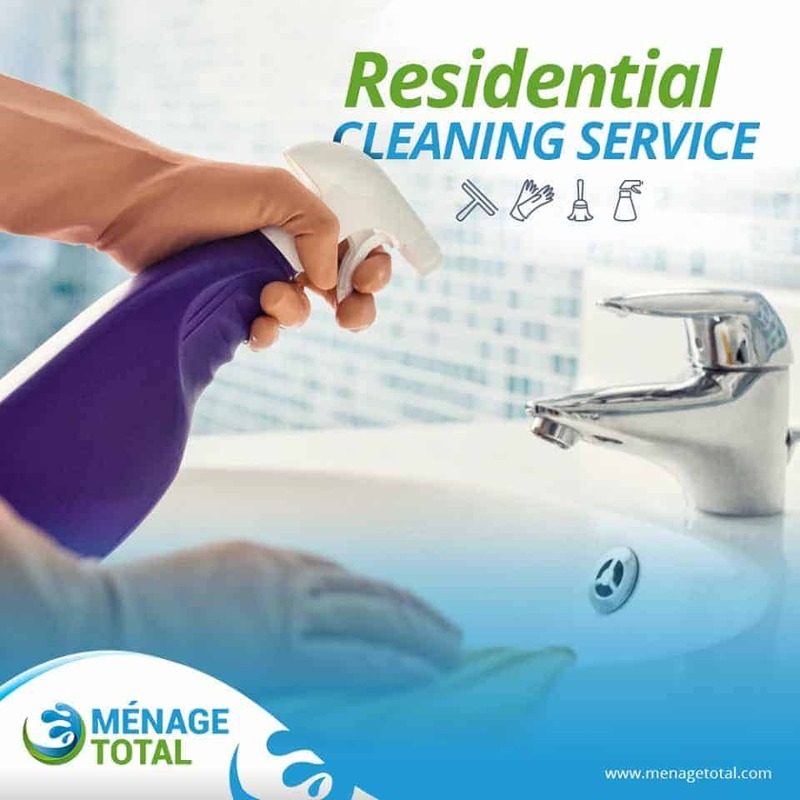 Menage total has different cleaning packages and frequencies depending on your requirements and preferences, no matter your need depends on a regular basis, weekly basis, every three weeks, monthly or occasionally or just one time cleans. Menage Total uses a unique brief-tidy rotation system to ensure that clients homes always meet high standards of tidiness. This system was developed over 7+ years of professional residential cleaning service. The system used by Menage Total is truly designed in the sense that it ensures the client satisfaction and client expectation of a consistently tidy and beautiful space. Menage total First Clean: carefully clean your kitchen and washrooms of your house while giving you a complete thorough cleaning of rest of your house. Menage total Second clean: detail cleaning of your living areas and sleeping areas, and provide a thorough clean to your kitchen and bathrooms as well. 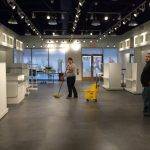 After the first initial cleanings, Menage total residential cleaning services will be performed on a rotation basis along with our their typical thorough residential cleaning services. This ensures that client home is always up to the mark. Menage Total has high standards and Menage Total work speaks to that. 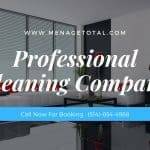 Menage total proved in recent years that their commitment to their clients through maintaining high standards of excellence in residential cleaning service. Team Menage Total completely understand their clients have very distinctive standards and that’s why they offer a perfect residential cleaning service that is summarized in such manner that it suits every individual requirement. Menage total has a team of cleaners who are best in business, full-time professional cleaners whom you can count on totally reliable. Fully insured. They are fully equipped with latest cleaning equipment and professional cleaning products ensuring a perfect full of hygiene clean every time they are at your place. No matter what sort of residential cleaning services you are in need off, Menage Total will tailor a service to fit according to their client needs and budget. 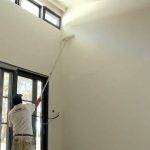 If you are looking for a professional residential cleaning service which can provide you the consistently high standard state of the art quality cleaning to meet your own very high standards. 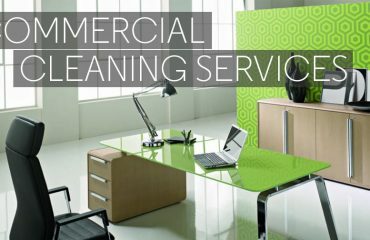 So Menage Total cleaning services is the best choice for you.